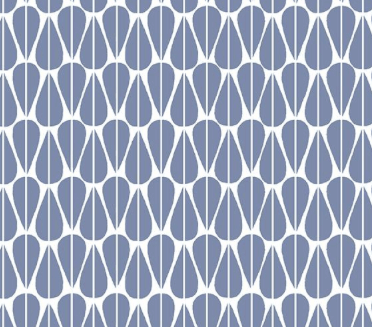 Mid-century style geometric leaves in a soft cornflower blue. 94% organic cotton, 6% lycra and a generous 63-inches wide. 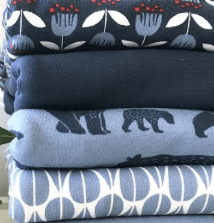 1 Yard – 63", 1/2 Yard – 63"